ENJOY A GOURMET BRAAI EXPERIENCE WITH A BRUSH ON BASTING SAUCE THAT TAKES YOUR STEAK FROM GOOD TO GREAT. Spur’s Steak Sauce is ideal for steaks and your other favourite cuts of beef and game. It’s so easy – simply brush it on while braaiing and turning the meat. 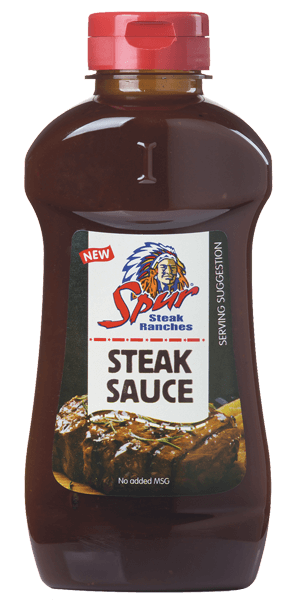 Spur Steak Sauce has no added MSG and is available in 500ml bottle with a screw-top lid. Remember to pop it in the fridge after opening.